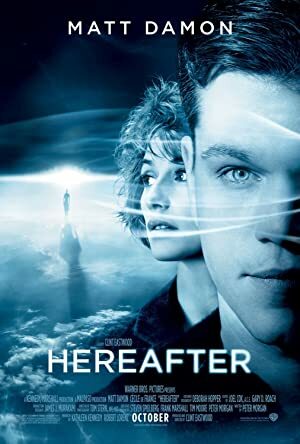 Hereafter (2010) – What's New on Netflix Canada Today! A drama centered on three people who are haunted by mortality in different ways. George (Matt Damon) is a blue-collar American who has a special connection to the afterlife. On the other side of the world, Marie (Cécile De France), a French journalist, has a near-death experience that shakes her reality. And when Marcus (identical twins Frankie McLaren and George McLaren), a London schoolboy, loses the person closest to him, he desperately needs answers. Each on a path in search of the truth, their lives will intersect, forever changed by what they believe might-or must-exist in the hereafter. A drama centered on three people – a blue-collar American, a French journalist and a London school boy – who are touched by death in different ways.